St Gregory’s Catholic Church, which celebrated the 40th anniversary of its dedication in September 2008, is located a short walk from Alresford town centre, alongside the Watercress Railway line. Young children celebrate their own Liturgy of the Word each week and there is always an opportunity to meet and chat over tea and coffee after Mass. 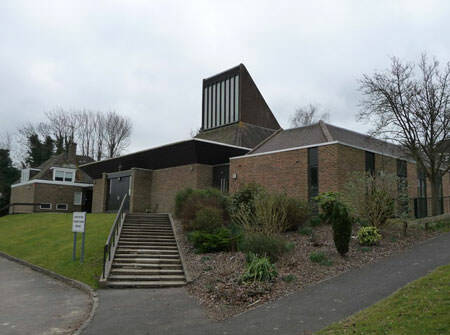 The church enjoys close ecumenical links with neighbouring churches and is a member of Churches Together in Alresford. There is plenty of space for parking, and visitors are always welcome. A Liturgy of the Word and Communion is usually celebrated on weekdays at 9.00am. Sunday Mass takes place at 11am. If you need more information visit the parish website.